BOCA RATON — As guard Adonis Filer finished his interview session following a home win on Saturday, the dynamic sixth man embraced head coach Michael Curry in a massive hug. It’s been a long road for Filer, a Clemson transfer, and Curry, an NBA journeyman known best in basketball circles for his one year as Pistons head coach. When the two arrived to Boca Raton in 2014, their futures were clouded in mystery; in theory, Filer could’ve used FAU to propel his stock before transferring again – this time to a better school. As for Curry, returning to a head coaching role after serving as an assistant with the Philadelphia 76ers and succeeding at a smaller Division 1 school could boost his resume for NBA teams who would soon need a new head coach. 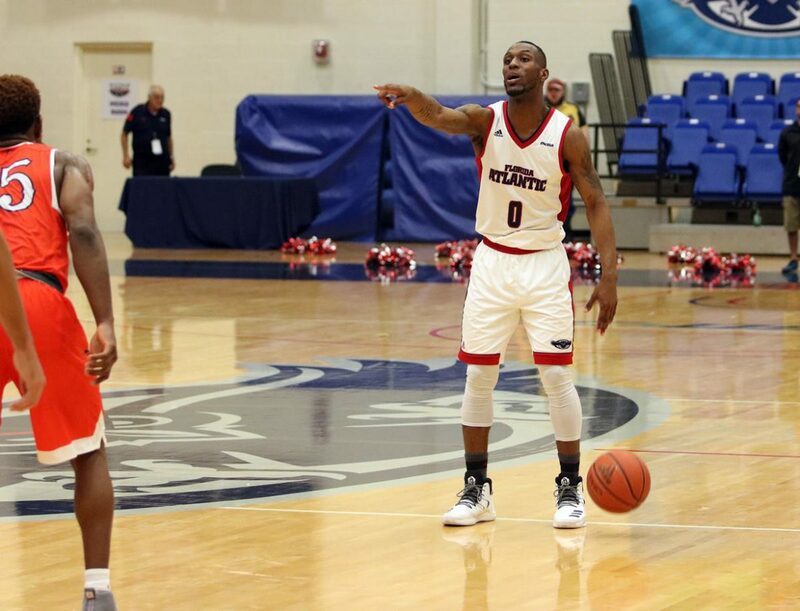 But after clinching their second straight appearance in the Conference USA tournament and winning their final home game of the year on senior night, Curry and his star senior had every reason to celebrate sticking with FAU. It’d be hard for fans not to feel good after the team’s first home win since January 7 – FAU’s first C-USA win of the season, which came over rival FIU – but also knowing that this Owls team was headed for Birmingham. Officially, FAU locked up a spot earlier in the day when North Texas fell to Southern Miss at home, though Curry’s team still played like this was an elimination game. Under Curry’s reign, however, the basketball cliches of playing hard and not giving up have become standard. Nearly three years after taking over a Mike Jarvis-led program that was on the verge of NCAA sanctions for low academic progress, Curry has begun the process of turning FAU into a legitimate C-USA contender for the near-future – with part of that coming thanks to major improvements in APR. As a result of the excellent recruiting, attendance at home games – even with all of the losses – improved with more students coming from the dorms to watch fan favorites Filer, Frank Booker, and Gerdarius Troutman. Filer is potentially headed for an All C-USA Defensive Team nomination and a Sixth Man of the Year Award, freshmen Jailyn Ingram made strides and didn’t quit after hitting the ‘rookie wall’, and all seems to be well in Boca Raton. With a rose in hand from the senior night celebration and a proud smile on his face, Filer made sure to thank the coach who took him in from Clemson. “From the coaches down to my teammates, every teammate I’ve had since my start here, it’s been great,” Filer said. It’s been rare for Curry to stay in one place, even with success here and there. Across his 11 NBA seasons, the Georgia Southern product spent six of them with the Detroit Pistons and spent the rest of it as a journeyman wing guard known for strong defensive play. After one season as the Pistons’ head coach in 2008 that saw Chauncey Billups dealt for NBA Hall-of-Famer Allen Iverson, Curry was unceremoniously fired as Detroit began a long, difficult rebuilding process. After three years at FAU, Curry is making it clear that he’s planning to stick around. With his team on the brink of the postseason and certainly in a position to stun some of their C-USA rivals, Curry still continues to make this about what’s next rather than what’s already happened. Instead of taking the next two games to tinker with different lineups and see who may work best where, Curry has affirmed that the standard lineup formations will remain the same. Barring injuries, that means Ronald Delph or Adonis Filer won’t re-enter the starting rotation. FAU players will be thankful that the Conference USA tournament starts during their spring break, as the travel schedule for the next two weeks doesn’t include a trip back to Boca Raton. After Thursday’s game at UAB and the regular-season finale on Saturday at Middle Tennessee, FAU will take a bus back to Birmingham and stay in the area until at least Thursday, for the C-USA tournament. Though some fans may not be thrilled that FAU is set to finish another season under .500, Curry is continuing to make a name for himself among the majority of fans and alumni as the program continues to make progress. In a season that saw the highs of a win over Ohio State and the lows of many close losses, Curry’s coaching style and emphasis on ‘team over me’ continued to bring the team – and as a result, the school – together for a second straight visit to the C-USA tournament. Conference Counterparts: Middle Tennessee clinched its first Conference USA regular-season title outright on Sunday by taking down UAB by a 66-64 final. Middle Tennessee and Louisiana Tech have already clinched two of the four first-round byes. If the season ended today, Old Dominion and UTEP would be the other two bye seeds; though Rice is a game behind UTEP and, if things go their way, could sneak into that four seed. Remember, overall records mean nothing when it comes to seeding. Only records in conference play matters. Working Women: The FAU women’s team will have one final homestand this year as they try to win their first C-USA game of the season. UAB comes to town on Thursday night with MTSU following on Saturday. Fans who come to The Burrow should keep an eye on the play of junior Sasha Cedeno, who leads the team in scoring during C-USA play (9.7 a night). Game of the Week: When FAU and UAB last played, the difference in the game was more than two points in the 80-78 final; it was the first few minutes when the Blazers outscored the Owls by an 18-4 score. If FAU wants to send one final statement before the C-USA tournament begins, Thursday night is the perfect time and place. BOCA RATON — Sunday’s rubber game match-up between the Indiana Hoosiers and Florida Atlantic Owls ended in a way few baseball games ever do: a tie. As a result of Indiana needing to catch a 5:30 p.m. flight and the game being tied 6-6 after 11 innings, the two teams decided to mutually call a tie. FAU should never have been in the position where a tie was even necessary, as Nick Swan pitched well enough to win before the team’s bullpen gave the game away. After entering the eighth inning with a 4-2 lead, the bullpen duo of Eric Keating and Cameron Ragsdale combined to allow four runs. Craig Dedelow homered off Keating to pull Indiana within a ru. 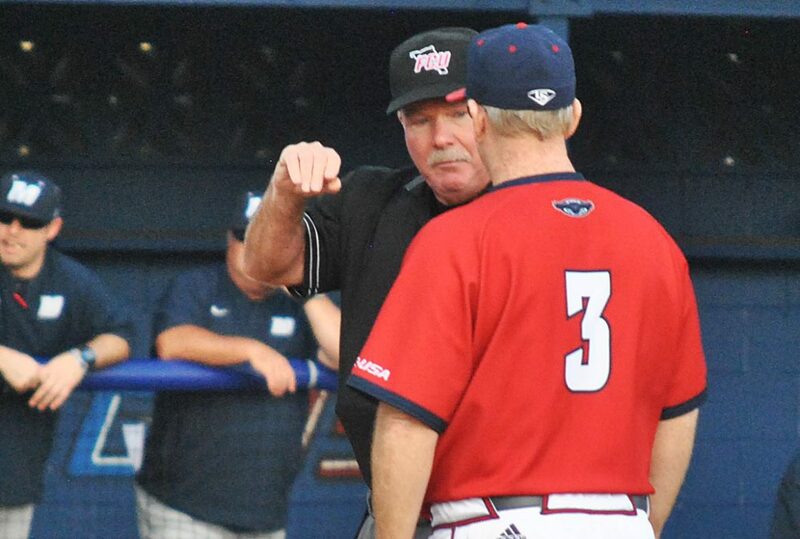 FAU coach John McCormack replaced Keating with Ragsdale. One of Conference USA’s best closers a season ago, Ragsdale walked the bases loaded and allowed a two-run single to Hoosier second baseman Tony Butler; a senior who entered the game well below the Mendoza Line with a .150 average. Shortstop Jeremy Houston singled on the next pitch to bring Matt Lloyd home and put Indiana up 6-4. FAU loaded the bases in the bottom of the eighth, but only managed one run when Austin Langham grounded into a fielder’s choice at third. Garry Mattis tied the game at six in the bottom of the ninth with a solo home run and Eric Rivera tripled with two outs, though the Owls were unable to drive in the winning run. 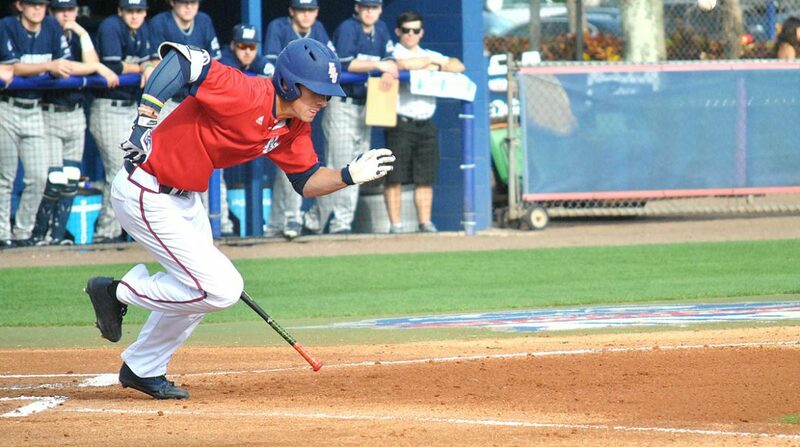 Another FAU chance at scoring came when the team loaded the bases again in the 10th, but second baseman Stephen Kerr was tagged out at home on a squeeze attempt gone wrong. Neither team scored in the 11th, with FAU failing to take advantage of a one-out single by Tyler Frank. The Owls wasted a strong outing from Nick Swan, who scattered eight hits across his six innings of work. Striking out eight, Swan threw 64 of his 91 pitches for strikes and avoided the control issues that plagued him last week. Moving Forward: Kevin Abraham started at catcher, the first time in two years he’s played all three games in a series, and went 1-5. 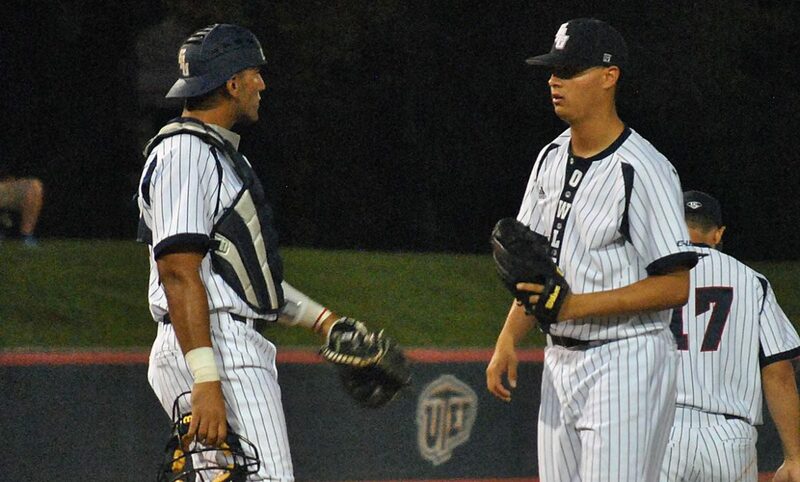 …FAU broke through in the first inning when cleanup hitter Stephen Kerr doubled Tyler Frank and Eric Rivera home after the two executed a perfect double steal. …Drew Peden struck out two of the four batters he faced in relief. …FAU had seven walks and only gave up one. Sliding Backward: FAU’s 5-6-7 hitters – Austin Langham, Aldrich DeJongh, and Brad Mathiowetz combined to go 1-for-12 at the plate; DeJongh is now 2-13 to begin his collegiate career. …Indiana’s Luke Miller homered for the second straight day. …The dangerous Esteban Puerta was 1-5. Key Stat: 0 – walks or hit batsmen by Swan on Sunday after five (two walks, three hit batsmen) in his first start of the year. Up Next: FAU will play it’s first non-home game of the year on Tuesday night at Florida Gulf Coast. First pitch from JetBlue Park is set for 6:30 p.m.
BOCA RATON – FAU is heading back to the Conference USA basketball tournament. The Owls clinched a berth before they ever took the court on Saturday when Southern Miss defeated North Texas, ensuring FAU would finish the season among C-USA’s top 12 teams. FAU emphatically stamped its ticket hours later with a 73-66 victory over Texas-San Antonio, avenging a loss to the Roadrunners earlier this season. The win was the first at home for the Owls at home since a Jan. 7 victory over FIU and concludes FAU’s home schedule. The Owls defeated only three Division I teams in The Burrow this season. Saturday’s victory gave FAU double-digit wins in a season for the first time since the 2013-14 when the Owls went 10-22 – and the first time in coach Michael Curry’s three seasons in Boca Raton. The six conference wins are also most under Curry. The Owls broke open a close game with an 8-0 run late in the first half. FAU led by double-digits for a significant portion of the second half but had to survive a late push by the Roadrunners, who cut the FAU lead six with 23 seconds remaining. Adonis Filer made the most of his senior night by leading all scorers with 20 points, including 9-of-10 from the free throw line. Moving Forward: Frank Booker enjoyed a fantastic night defensively, though the stats might not show it. He was only credited with three steals but appeared to create double that many. He also drew three charges and added eight points offensively. …FAU was 18-of-21 from the free throw line. ..Jailyn Ingram had eight rebounds. ..Every FAU who entered the game scored at least two points. …Nick Rutherford had 14 points and eight rebounds. Moving Backward: FAU shot 5-of-17 from behind the arc. ..Ingram shot 2-of-10. Key Stat: 38.2 – UTSA’s field-goal percentage on Saturday night. Up Next: FAU will travel to Birmingham on Thursday night for their final road trip of the season and a matchup with the UAB Blazers. Tipoff is scheduled for 8 p.m. The Owls then end the regular season on Saturday at C-USA leader MTSU. -Jake Elman contributed to this report. BOCA RATON — Jake Miednik and FAU responded from Friday’s first loss of the season with a 6-2 victory over the Indiana Hoosiers less than 24 hours later. 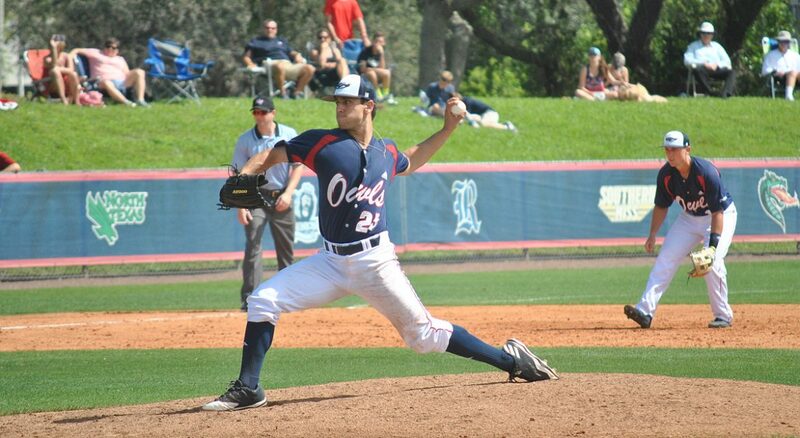 After throwing six innings of three-hit ball last Saturday against Monmouth, Miednik spun another gem for the Owls. 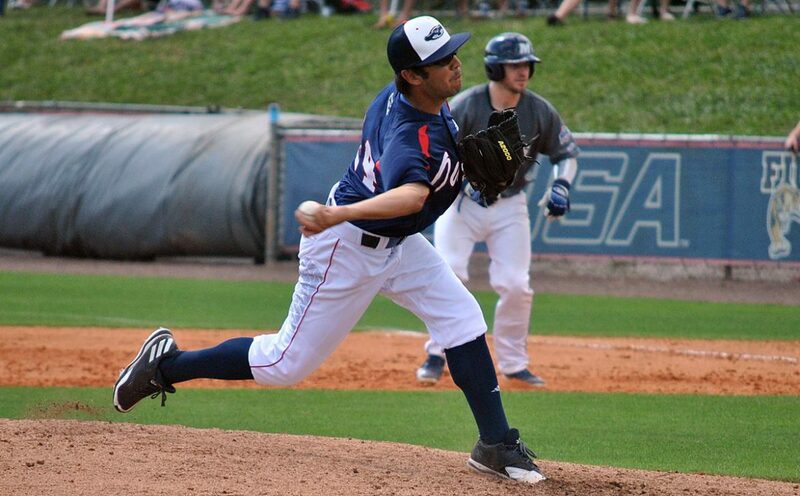 Pitching eight innings and allowing two runs, Miednik struck out seven and scattered five hits. FAU scored first with an Austin Langham RBI single in the first inning. Indiana scored two in the third inning when center fielder Craig Dedelow hit his second home run of the series, but Tyler Frank tied things in the bottom half with an opposite field home run. Continuing a hot start that saw him enter Saturday’s game hitting .571, Frank went 5-5 and scored three runs. Frank was also key on defense, making a diving stop and throw to rob Indiana’s Jeremy Houston of a hit to end the fifth inning. Frank continues to lead the team in hitting with a .653 average. Moving Forward: Frank can make web gems in the field when he’s not making errors, as evidenced by his diving stop and throw to end the fifth inning. …Langham made a leaping catch at third to rob Indiana’s Jake Matheny of a hit. 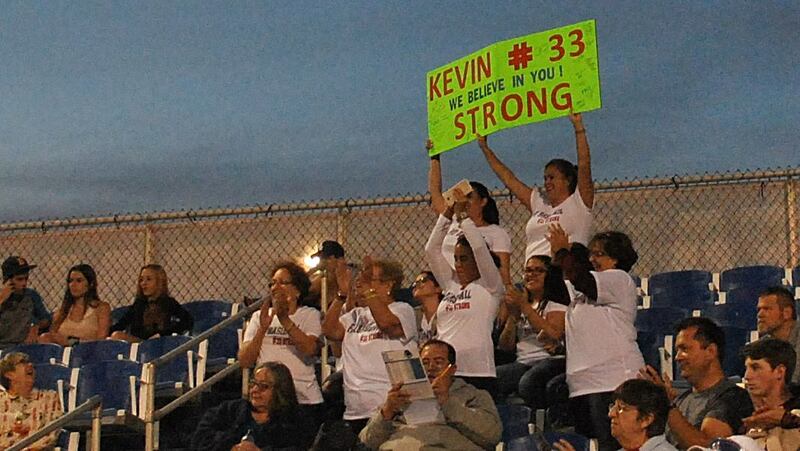 …Kevin Abraham played his first consecutive games of the season in his return from cancer treatment last year and being hit in the face by a pitch in the first game of this season. He pinch hitting in the seventh inning. 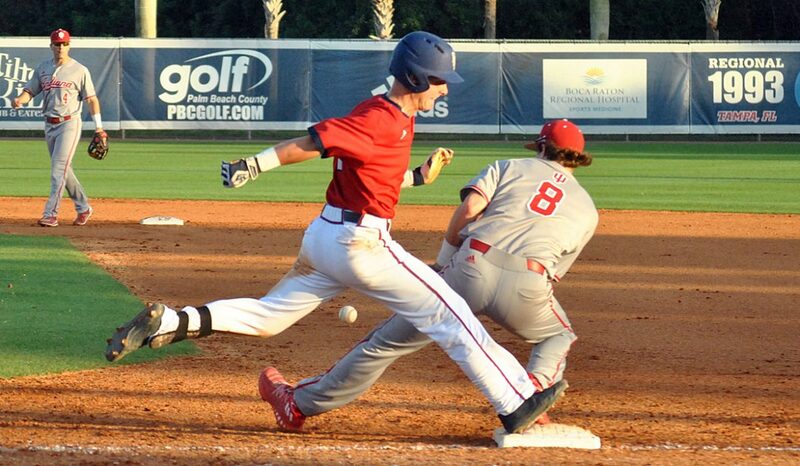 Sliding Backward: FAU coach John McCormack said right fielder Jared Schoppe is likely out for the rest of the weekend with a hamstring injury. 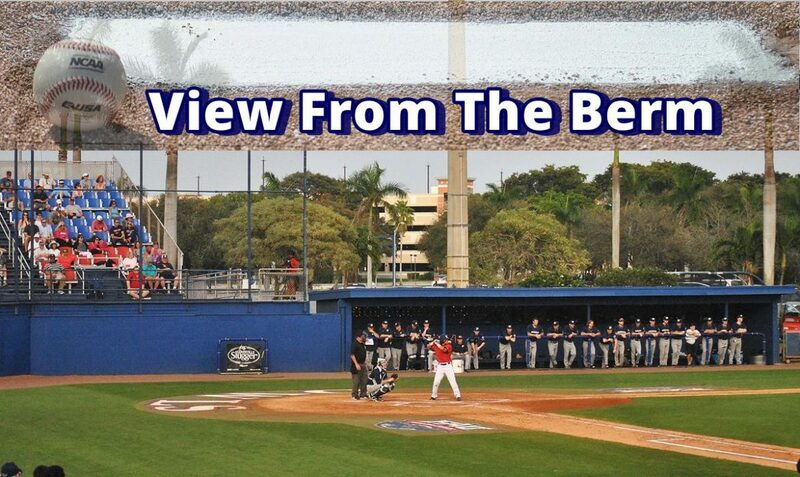 …FAU pitching continues to struggle with allowing long-balls, as the Hoosiers hit another homer on Saturday after three on Friday…The entire FAU outfield combined for one hit, courtesy of freshman Eric Rivera. Key Stat: 4: errors from the Hoosiers on Saturday. Up Next: FAU will complete their three game series against Indiana on Sunday afternoon. First pitch is scheduled for noon. BOCA RATON – Walks and home runs doomed FAU, allowing Indiana to hand the Owls their first loss of the season, 8-2. Starter Alex House surrendered five runs, four earned, in five innings while walking four to take the loss. “I thought we were trying to be too fine, Alex especially was trying to be too fine, trying to make a really, really good pitch every single time – and they capitalized,” FAU coach John McCormack said. House’s replacement, Jordan Poore, served up a homer to Austin Cangelosi – the first batter he faced – then walked Tony Butler, who would come around to score. All of FAU’s runs came via home runs. 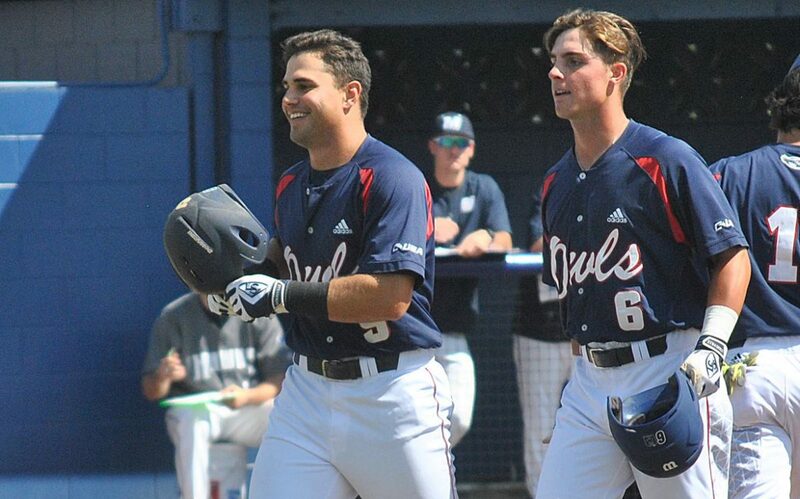 FAU first baseman Esteban Puerta continued his hot start, smashing a home run over the left field fence in the first inning, his third of the year, giving the Owls their first run. Trailing 7-1 in the sixth, Stephen Kerr ripped a Jonathan Stever offering off the left field foul poll for the Owls their second run of the night. Tyler Frank launched a two-run shot in the ninth. One week after being hit in the face by a pitch, Kevin Abraham returned to Owls’ starting lineup at catcher. Abraham missed all of last season while battling Non-Hodgkins Lymphoma. He went 1-for-4 on the night. Moving Forward: Tyler Frank’s bat, which belted its second home run of the season as part of a 2-for-4 night that kept his batting average above .500 for the season. …Marc Stewart is expected to get an inning in relief either Saturday or Sunday in preparation for Wednesday’s scheduled start against Miami. …Stephen Kerr smack two hits, including that sixth inning homer. He also made a sliding catch in foul territory deep down the right field line. 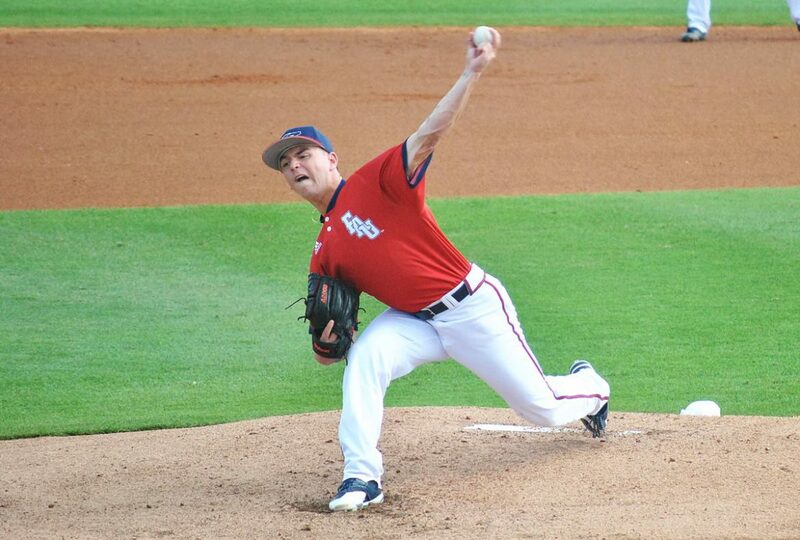 …Pitcher Andrew Jones worked a perfect ninth inning in his FAU debut. Sliding Backward: Tyler Frank’s glove, which committed its third error in four games this season. …Right fielder Jared Shouppe left the game after injuring his right leg while rounding first base. Shouppe missed all of last season following knee surgery on the same leg. His status for the remainder of the weekend is uncertain. …When Alex House misses, he tends to miss up in the zone, which is why he’s already surrendered three home runs in 11 innings. 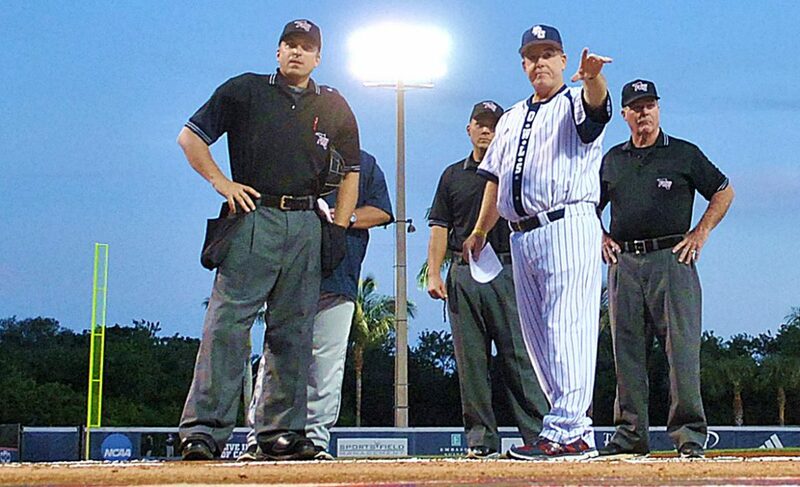 …FAU backstops have already been called for catcher’s interference three times this season. Kevin Abraham was the offender on Friday, doing so on the first pitch of the game. Key Stat: 5 – walks allowed by FAU pitchers. The Owls actually outhit the Hoosiers 10-8, but Indiana took advantage of FAU walks and errors to post crooked numbers on the scoreboard. Up Next: FAU and Indiana play the middle game of their weekend series on Saturday, with first pitch scheduled for 4 p.m. The game will be a battle of lefthanders, with Jake Miednik getting the ball for the Owls and Tim Herrin taking the mound for the Hoosiers. BOCA RATON – Poor second half shooting doomed FAU to a 60-55 loss to Texas-El Paso on Thursday. The Owls led 33-32 at the half but managed only 22 second-half points in their second loss to the Miners this season. After cutting back on long range jumpers, making two of their six three-point attempts in the first half, FAU made only one three-point shot on 13 tries in the second half, shooting 15.8 percent from behind the arc for the game. FAU managed only four points through the first nine minutes of the second half and made found the bottom of the net on seven field goals in the final 20 minutes. In a tight game down the stretch, FAU didn’t connect on a field goal in the final 2:51 of the contest. Moving Forward: Adonis Filer led the Owls with 15 points. …Jailyn Ingram chipped in 12 and three rebounds. …Nick Rutherford doled out nine assists, grabbed six rebounds and recorded three steals. Moving Backward: Long range sniper Gedarius Troutman didn’t connect on a three-point shot all night. …FAU only made four free throws on night attempts. Key Stat: 8 – losses for FAU in the Owls last nine home games. Up Next: With Thursday night losses by FIU and North Texas, FAU can clinch a berth in the Conference USA tournament with a win over UTSA on Saturday in what will be the Owls final home game of the year. 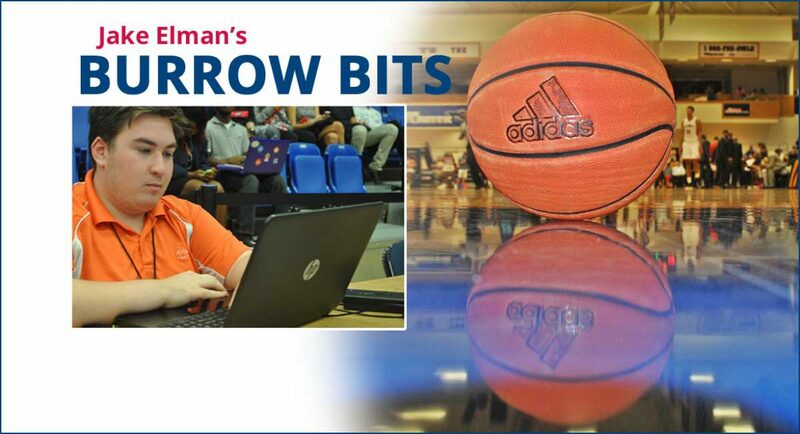 Tipoff is scheduled for 7 p.m.
BOCA RATON – Given FAU coach John McCormack’s penchant for putting pressure on opposing defenses, it’s wasn’t surprising that one of the first runs scored by FAU this season came via an RBI bunt. What might have caught observers off guard was that it was the clean-up hitter who delivered that first-inning bunt. Even more surprising? That clean-up hitter was second baseman Stephen Kerr. A top of the order stalwart throughout his first three seasons as an Owl, McCormack moved Kerr down in the order with hopes that removing the lead-off hitter mindset might free Kerr to be more effective at the plate. 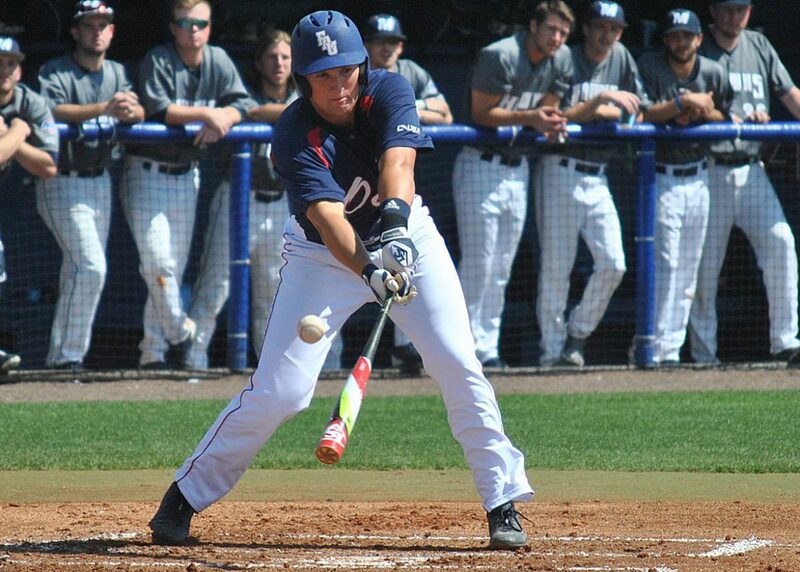 Kerr hit better than .300 during his first two seasons as an Owl, scoring 95 runs and swiping 25 bases. 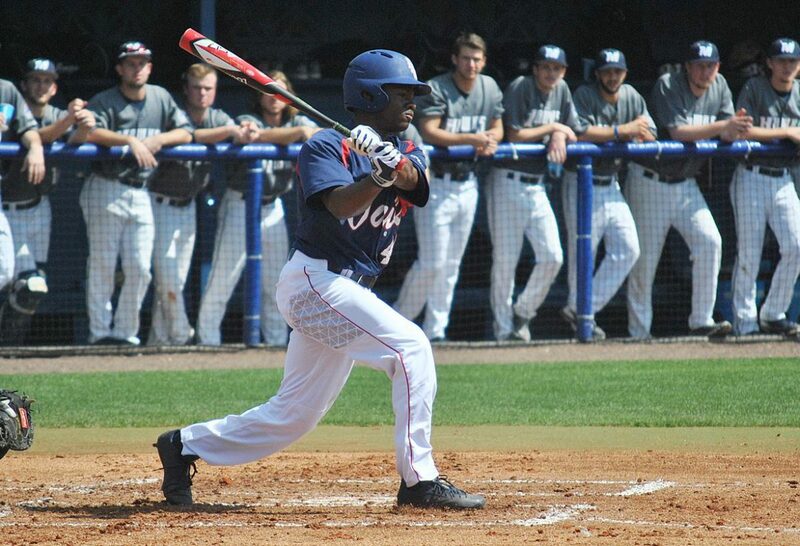 During his junior season, while most of the Owls were soaring, Kerr limped through the season’s final months, finishing with a career-high 17 stolen bases to go with five homers but also a career-low .253 batting average. This year, Kerr is simplifying the hitting process. That didn’t mean Kerr forgot everything he learned as a lead-off hitter. In that first inning on Friday with runners on first and third Kerr intended to fake the bunt and take the pitch, giving both the pitcher and Monmouth’s infielders something to think about. But Hawks hurler Ricky Dennis delivered a change-up that sailed up and in, prompting Kerr to bunt it to the right side, advancing Esteban Puerta and scoring Jordan Shouppe on a play officially scored as a sacrifice. “He said, ‘If I took it, it would have hit me in the face,” McCormack said. In Sunday’s victory Kerr delivered an at-bat more customary from a clean-up hitter. During fall practice Kerr moved his stance closer to the plate, putting his toes on the line of the batter’s box nearest the plate. That’s how he started the season, too. 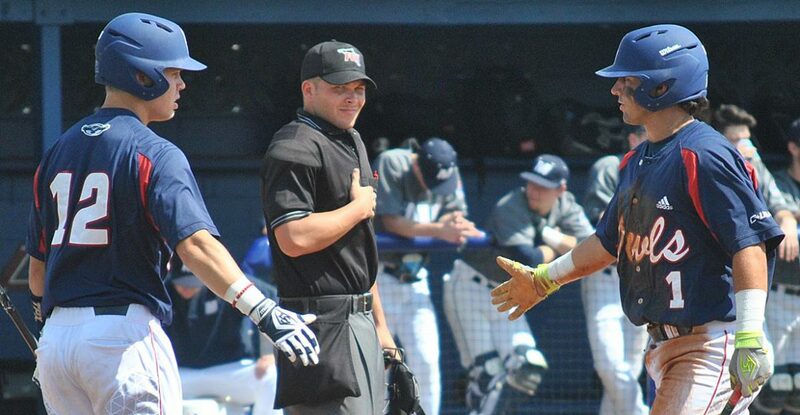 But when Monmouth pitchers constantly busted him inside with fastballs, the senior moved away from the plate. The result? Kerr launched a home run late in Sunday’s game. “It was a good one,” Kerr said. During the weekend Kerr smacked four hits, including the homer, drove in three runs and scored twice. He also stole a base. With Kerr sliding down to a run producing spot in the order, McCormack needed a new lead-off hitter. He elected to go with sophomore shortstop Tyler Frank, who responded by going 10-for-17 with a homer and six runs scored. “That was a good weekend,” Frank said. BOCA RATON – It’s too early in the season to get wet. With foul weather predicted for Florida’s east coast on Wednesday, FAU and Bethune-Cookman have elected to postpone the day’s scheduled game until March 7. That means the Owls won’t take the field again until Friday at 6:30 p.m. when Indiana comes to town for the first of a three-game series. The Owls intend to stick with the same weekend rotation employed when sweeping Monmouth during the opening weekend, which means Alex House on Friday, Jake Miednik on Saturday and Nick Swan on Sunday. 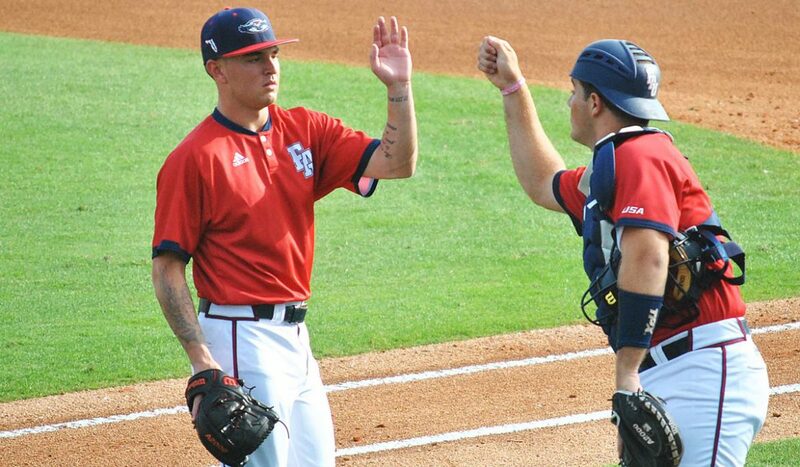 FAU coach John McCormack planned to give junior Marc Stewart his first start of the season on Wednesday. McCormack as also hoping to give starter/designated hitter Sean Labsan his first innings on the mound this season. A candidate for the weekend rotation before a pectoral muscle issue slowed his spring progression, Labsan nearly pitched in Sunday’s 12-10 victory over Monmouth after the Owls opened large early lead but when the Hawks rallied to tighten the game McCormack elected to stick with his planned pattern for relievers. 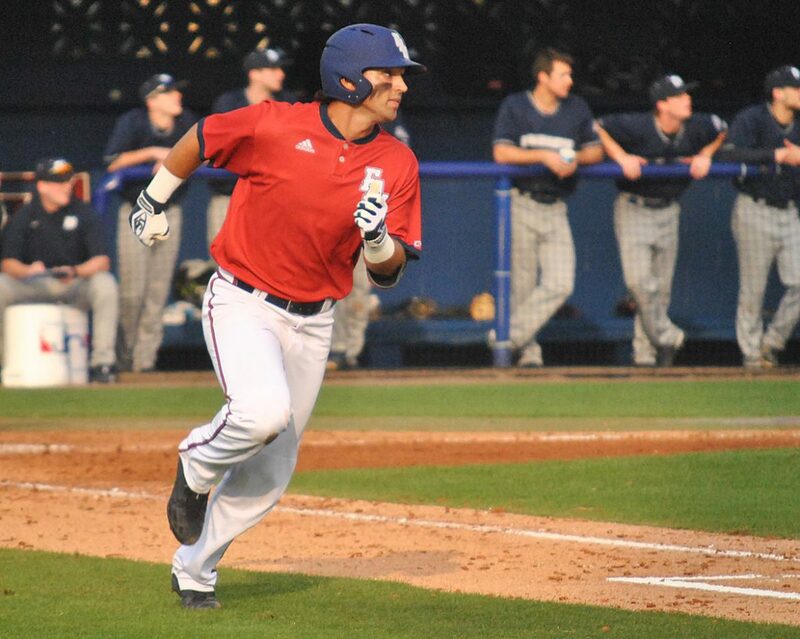 Hot Start: FAU first baseman Esteban Puerta knows how to start a season. Last year C-USA named the then-junior its Hitter of the Week following a four-game stretch where Puerta hit .625. During the first weekend of this season Puerta hit .583 with two homers and 11 RBI – which somehow wasn’t good enough to claim another Hitter of the Week award. Instead the award went to Charlotte’s Jackson Mims, who only hit .538 with a home run and only four RBI. Mims did hit for the cycle in one game but voters, Come on! Puerta’s numbers are significantly better. Both McCormack and Puerta attributed the first baseman’s early success to experience. “Since I’ve been here for quite a while I definitely feel really comfortable in there and it definitely has to do with experience,” Puerta said. 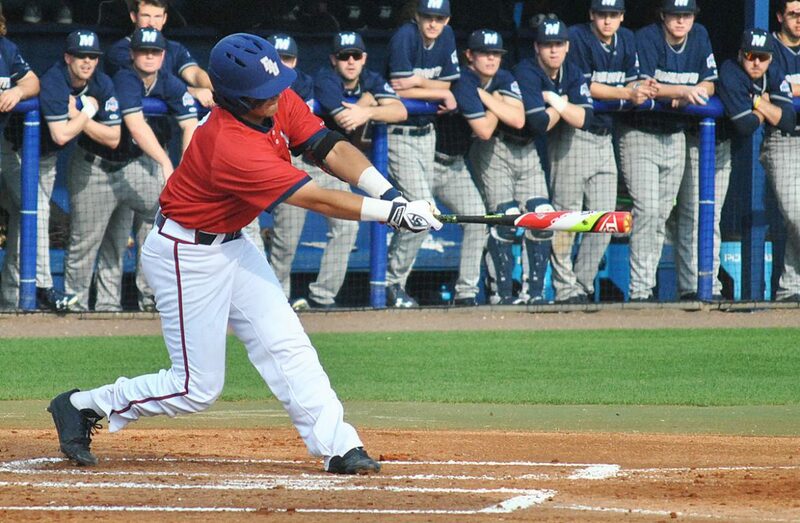 Swinging Owls: Puerta is one of three Owls hitting .500 or better following the opening weekend. Frank leads FAU with a .588 average after going 10-for-17 against Monmouth, adding a homer, seven RBI and six runs scored. Third baseman Austin Langham sits at an even .500 (5-for-10) with a home run. The Owls pounded out 41 hits in three games and own a team batting average of .373. They’ve already scored 34 runs. 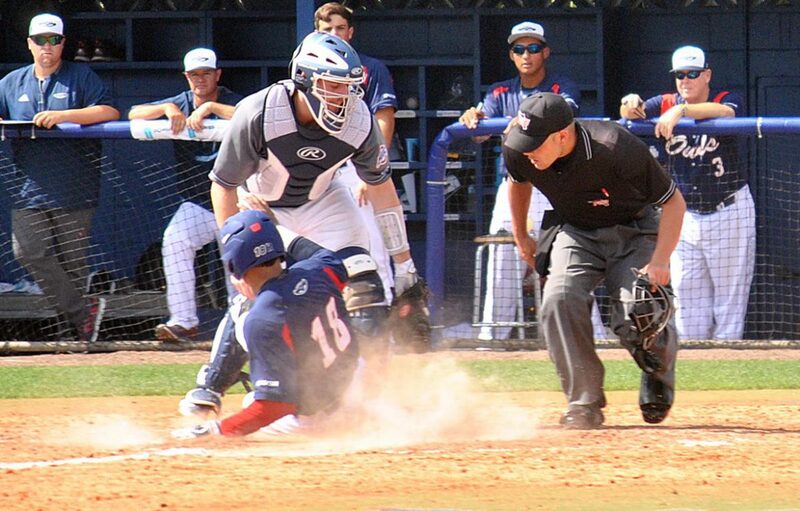 Three for 2: FAU started the season with a three-way battle to become the everyday catcher. The first weekend didn’t seem to settle much. Playing for the first time since undergoing treatment for Non-Hodgkins Lymphoma last year, Kevin Abraham struck for two hits in his first three at-bats before being struck in the face by a pitch, fracturing his cheek bone. There is no timeline for his return but the Owls are hopeful he won’t miss too much time. Brad Mathiowetz also managed two hits in his seven at-bats. Pedro Pages went hitless in four weekend at-bats but did gun down a runner trying to steal. This competition could continue for a while, which could actually prove beneficial by helping keep all three players fresh come the end of the season. BOCA RATON — After nearly three years with Adonis Filer, the first of which he sat out in compliance with the NCAA’s transfer regulations, FAU coach Michael Curry has seen enough. At least, Curry’s seen enough from the former Clemson guard to say the time is now for Conference USA to recognize the potent sixth man’s defensive prowess. “There’s no way he shouldn’t be all-defensive team,” Curry said of Filer last week. Some may scoff at the notion that a guard known more for his run-and-gun shooting style than dominating defense deserves to be recognized among the conference’s elite defenders, but those who have seen Filer play in person know he’s capable of major stops. Some of FAU’s best defensive performances, especially on the road, have come when Filer is at his best and pressuring opposing backcourts. Reminiscing on the early days of recruiting Filer to FAU, Curry admitted that it was the guard’s defense that truly swayed him at the time more than his offense. When it comes to traditional numbers regarding Filer’s defense in the 2016-17 season, the results are a mixed bag; Filer ranks seventh on the team in rebounds (74, or three per game) but is second in steals (24). The advanced statistics are a bit more friendly. With 0.7 defensive win shares, Filer narrowly trails Ronald Delph and Nick Rutherford (0.9 each) for the team lead. For comparison’s sake, Louisiana Tech’s Jacobi Boykins and Erik McCree lead C-USA with 2.1 defensive win shares each. The stats are obviously a large part of what helps the voters determine who makes what team, but versatility and how well defenders can handle tough situations is also important. Prior to FAU’s blowout loss to Louisiana Tech on Thursday night, Curry had mentioned that Filer – a 6-foot-2 guard – might have been an ideal choice to cover Erik McCree, the Bulldogs’ star big man and C-USA’s leading rebounder. McCree had 11 points and eight rebounds in the Bulldogs’ 95-69 win. Since joining C-USA prior to the 2013-14 season, FAU has never had a player make the All-Defensive team. Filer will have four regular season games left, as well as the C-USA tournament if FAU qualifies, to change that. Over the past two months, Gerdarius Troutman has arguably been the Owls’ best player and showcased his skills with a 25 point outing in Saturday’s win over Southern Miss. In shooting percentage from behind the arc Troutman trails Marshall’s Austin Loop by .002 points for the three-point percentage crown (Troutman has .447 to Loop’s .449). All season long, Curry has spoken with nothing but pride and confidence about French junior forward William Pfister. Now, Curry is attributing Pfister’s play since entering the starting lineup to the Frenchman getting his confidence back. The pressure that comes with these final four games will be a great test for Pfister’s restored confidence – and a test to see if he will enter 2016-17 as a starter in the frontcourt. Senior night will be held at The Burrow on Saturday night against UTSA as Adonis Filer plays his final home game for FAU. While Filer has only played two seasons for the Owls, expect fans to give the fan favorite sixth man a massive ovation. Conference Counterparts: If the season ended today, FAU would make the Conference USA tournament as the No. 10 seed and play UAB. With four games remaining in the regular season, FAU can clinch a berth in the C-USA Tournament with one more win along with a loss by North Texas. Working Women: FAU will play its final two regular-season road games in Texas beginning with UTEP (6-20, 3-11 C-USA) on Thursday, Feb. 23 at 8:05 p.m. followed by UTSA (11-14, 7-7 C-USA) on Saturday, Feb. 25 at 3 p.m. Freshman Julia Jenike continues to be on fire, leading the team in points for the second consecutive game as she came away with 16 points – her fifth straight game with double-digit points – including two baskets from beyond the arc. Making her 14th straight start, the freshman guard added four rebounds and four assists in 32 minutes on the floor. Game of the Week: For fans, Thursday night’s game against UTEP – a Greek Night that will pit sororities against one another – may seem more interesting, but it’s hard to argue against the Saturday night home finale vs. UTSA. Between senior night, a game that will help determine FAU’s seeding for the C-USA tournament, and free shooting sleeves, fans should flock to the Burrow following the baseball team’s game against Indiana (first pitch for that game is at 4 p.m). 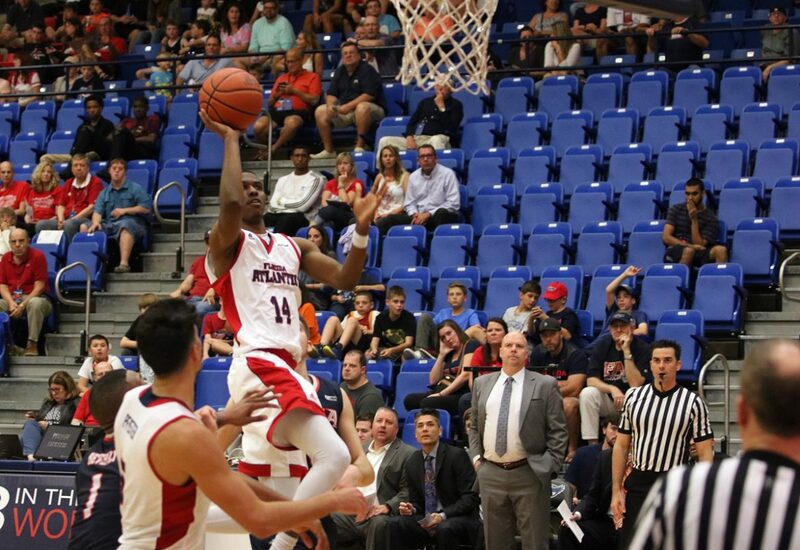 Tipoff for the men’s basketball game is set for 7 p.m.
BOCA RATON – FAU baseball enjoyed a successful opening weekend, sweeping Monmouth. 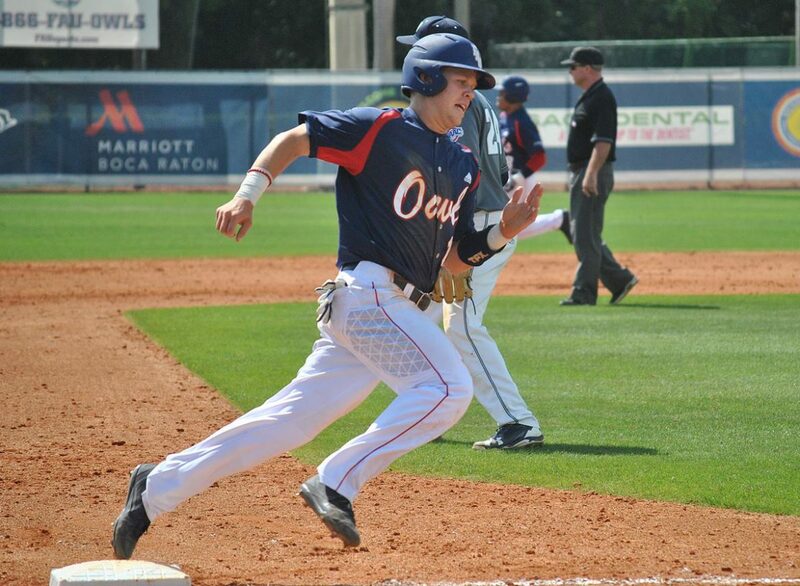 The Owls scored double-digit runs in to of the games and held the Hawks to one run on Saturday. 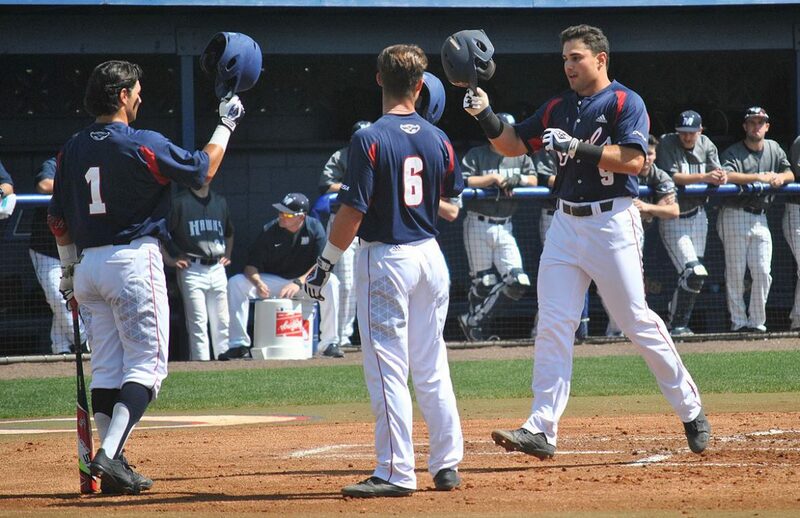 This FAU baseball photo gallery offers some of the sights of the opening weekend.